Regular servicing of your garage door and opener will ensure a safe, smooth, quiet operation time and time again. Why do you need to service your garage door? 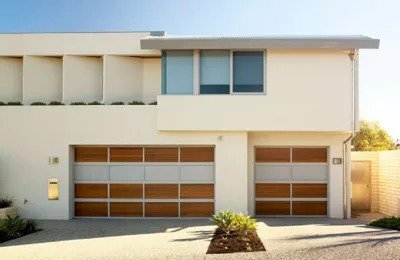 Garage doors are the largest moving object in your home and are often overlooked. As you would service your car to ensure continued optimal performance, you should also service your garage door. Servicing ensures springs, tensioning and openers are operating as they should be, and helps to avoid potential problems with your door and opener in the long-term. Your quality B&D garage door has been built to last with reliability you can depend on. With the backing of your B&D Accredited Dealer, regular servicing will ensure a safe, smooth, quiet operation time and time again. To keep your door running well, it is recommended that doors are serviced every 12 months or earlier if required, and all garage door repairs should be carried out by a qualified service technician. Do not attempt to repair your garage door! Should the door become hard to operate or completely inoperative, contact your local B&D office or call the B&D dealer who installed your door. Its important you have peace of mind when you make a purchase, that’s why all B&D doors and openers come with a warranty. Please note, your warranty is only valid if you maintain your door and opener, simply by following the instructions given in your Owners Handbook (B&D Owners Manual) or visit the 'Managing your Door' area of our website. If you have any queries or concerns, please feel free to call us on (03) 6229 1650. To view the warranty and care instructions for your B&D door, please refer to the B&D Owners Manual for further details. Click here to download the B&D Owner's Manual.